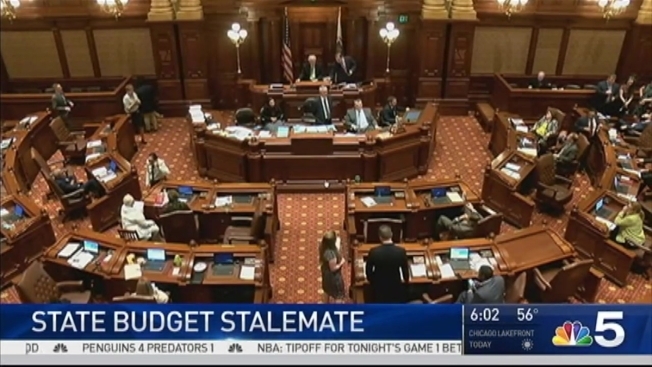 Illinois lawmakers adjourned Wednesday night once again failing to end the state's historic budget stalemate, leaving thousands of residents in a financial crisis. Emily Florez reports. Some say Illinois can't afford to cut its media service that transmits state news, even though it costs $3 million a year as the state is in financial turmoil. Illinois Department of Central Management Services spokesman Richard Bossert told The State Journal-Register the necessity of the Illinois Office of Communication and Information to communicate with the public doesn't stop due to the lack of a state budget. Originally called Illinois Information Services, the office has been around for nearly a century and employs about 20 people. It assists state agencies and government entities in delivering information to the public and the media. Republican Rep. Sara Wojcicki Jimenez of Leland Grove says the office's role should be reviewed in light of the state's financial woes, but noted its importance.